Things are looking up in the world of farming. Farming has been a cornerstone of civilization for a long time — even before sewer systems. As humans have evolved, so has farming. 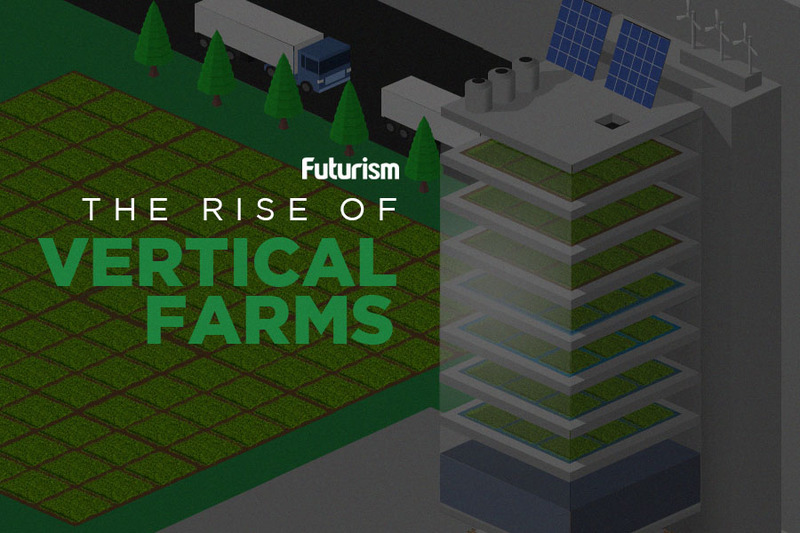 Thanks to drones, CRISPR/Cas9 gene editing, and a host of other innovations, we have come farther than we would have ever thought possible — including reaching new heights with vertical farming. The pinnacle of modern agriculture can be found in Kearney, New Jersey at Bowery farms. The farming company claims it has the capacity to grow 100 times more per square foot than average industrial farms. This might be because the vertical farm calibrates “synthetic” parameters for its produce. Thanks to indoor LEDs that mimic natural sunlight, and nutrient-rich waterbeds that are easy to stack from floor to ceiling, Bowery is able to grow over 80 different types of produce. Bowery will begin selling its produce, including popular salad fixings such as kale and arugula, in New York City come March 6th, at around $3.99 per five-ounce package. What’s so remarkable about Bowery is that it underscores the next generation of agriculture. While traditional farming is unlikely to disappear anytime soon, vertical farming showcases increased automation, reduced emissions, and all-around reduced costs. Automated machines efficiently move water around the plants using a proprietary software known as FarmOS. The unique operating system adapts to new data, adjusting environmental conditions to the warehouse. Trays are optimally stacked to the ceiling and crops are produced year round, increasing the overall efficiency of the process. Traditional farming reduces soil productivity, wastes water, can foster the growth of pesticide-resistant insects, and increases levels of greenhouse gases. The practice itself is quickly becoming unsustainable, as there’s less land available for farming: since the 1970s, almost 30 million acres have been lost to urbanization. While traditional agricultural methods may endure, it might be prudent to acknowledge the global and local benefits of vertical farming with so many new companies cropping up.